I flew into Bocas Del Toros, Panama from Panama City. I really didn’t know what to expect. I had done just about zero research into it. I could find it on a map and I had booked a B&B. I had been told on Facebook by several people that it is just amazing but I wasn’t counting on that advice. My few days in Panama City had left me underwhelmed. I had read so much about what a fantastic place for expats that city is and I just hadn’t felt it. 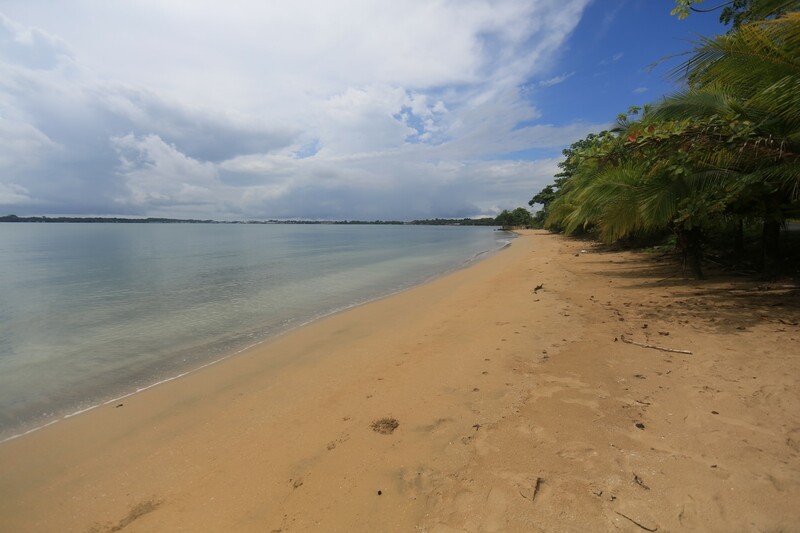 I may write more about Panama City because when I returned a week later I found a little bit more that I liked but certainly at the moment when I got to Bocas I wasn’t rabid for Panama. My immediate sensation at the airport was a throwback to 30 years before as a child visiting Antigua where the airport is more of an airfield. A tarmac and a building. There was no luggage conveyor belt – the luggage handlers were literally handing bags to people one at a time. The atmosphere was relaxed and it felt for lack of better words tiny. Tiny, casual and of course hot, humid and tropical. Taxis were loading people in but it was …. casual. In Panama City when you get out of the security area it’s like you are being attacked by a mob of sharks. Here it was akin to “Hey man, would you like to have a ride in a taxi? no worries if you don’t”. Of course I needed a taxi and was told it would be ….. $3. What a great number. At the airport in the city it had been $30. Non-negotiable. Good start. Driving away from the airport I was first struck at how impoverished things looked. There are houses that are literally collapsing. Structures where people are living are just falling down. 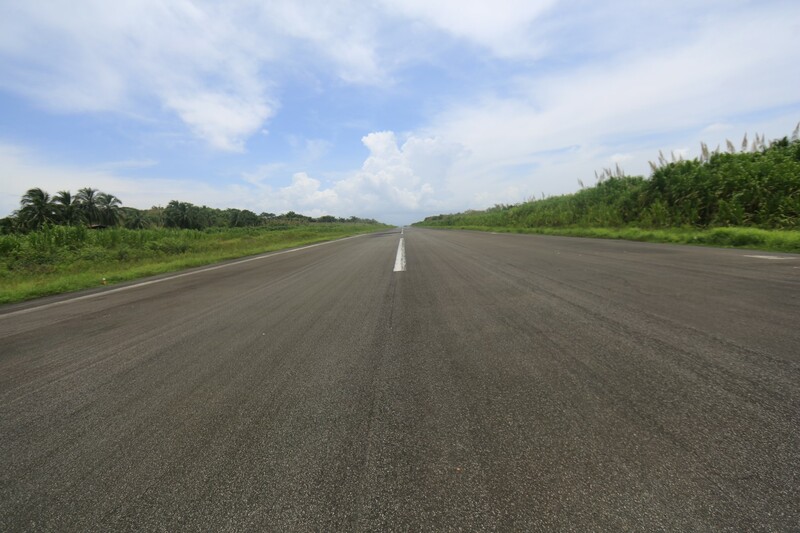 The road from the airport was in bad condition with potholes all over the place and a lot of the people cruising around on the streets had a relatively ragged look. It wasn’t as serious as Madagascar but it certainly had a very rough veneer. A couple that I met and hung out with who have done a decent bit of travelling told me it was the worst looking place that they had ever been in their lives. My perspective having been filtered by some of the rougher travel that I have done allowed me to raise it to a higher bar than those places but it was very interesting to hear those words from fellow travelers. So, my initial first few hours feeling were … “Wow, this whole Panama thing has been a bit of a miss”. So, what changed? Why is it that by the end of my week there I felt like I was in some sort of relaxed paradise that I could actually possibly see myself spending a good deal of time in? I’ll tell you more but I will say this, If you are thinking about going to Panama and to Bocas Del Toros you can’t get away from that poverty and you can’t get away from that element of run down, broken down, busted road feeling … however, if you can find it for the odd charm that it has and you combine all of the elements of the greater surrounding area it’s a pretty great place to hang out. So, first of all I think that what quickly started to change my feeling about the place is that same feeling I got at the airport where it was so laid back. 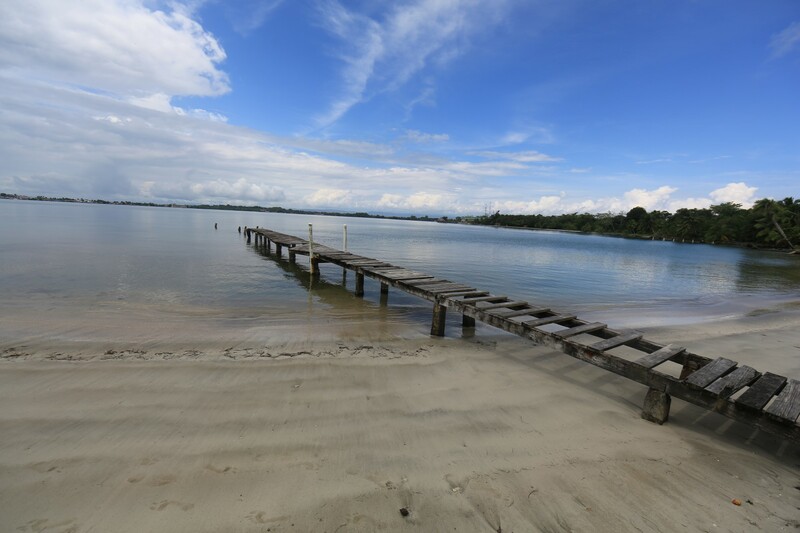 There’s a vibe about Bocas where it almost feels like the reason that it’s so run down is that the nature of life there is so relaxed that the buildings are relaxing … well, maybe that’s a little more credit than the poverty deserves. 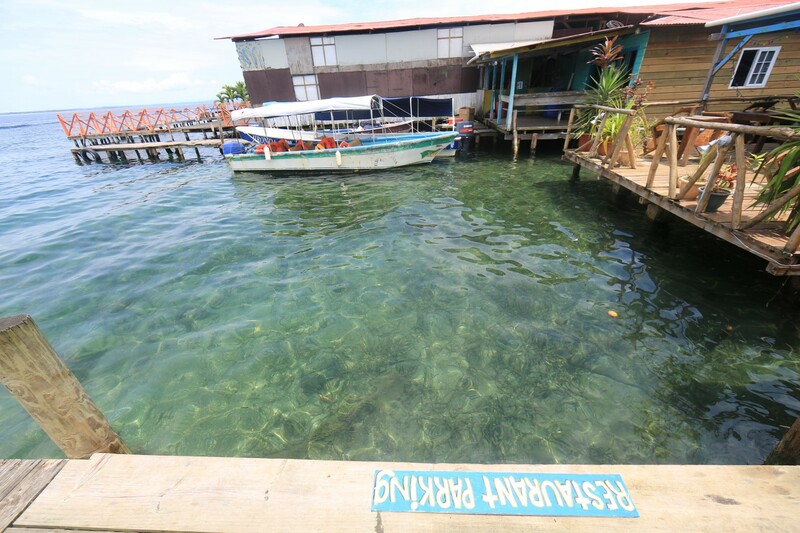 Still, the poverty just doesn’t feel oppressive in Bocas. It feels sort of like “Well, we’re broke, but we have some fish and somehow we found the .85 cents to get a beer, so it’s all good. Let’s chill out under a palm tree in a hammock”. Random bit but it said a lot to me. As it turns out there are only a few flights in and out per day. 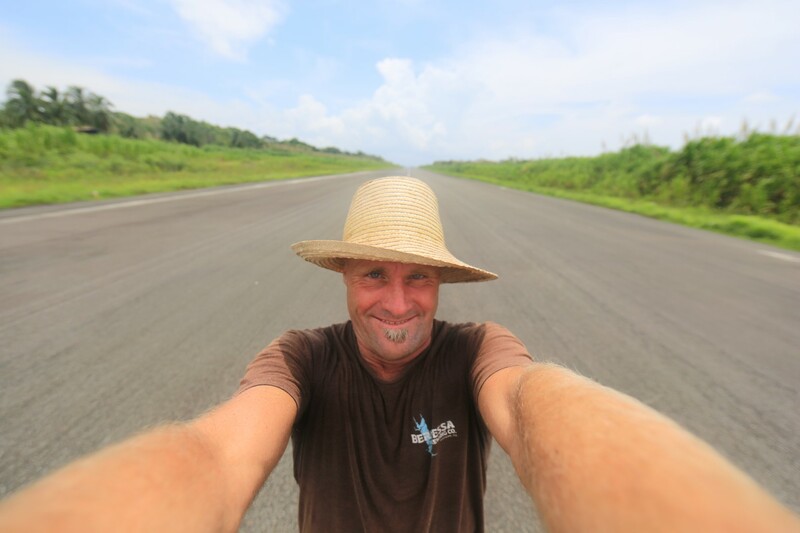 At any other time you can go for a walk, a bike ride or a jog on the runway. I found it fantastic that every day the kids would play their afternoon soccer game on the tarmac. I don’t know if I’ve ever seen that one before. After I allowed myself to absorb that the rough veneer wasn’t as bad as first glance I allowed for the geography of the place to take over and fill my senses. My B&B included a beach cruiser bike in the price. 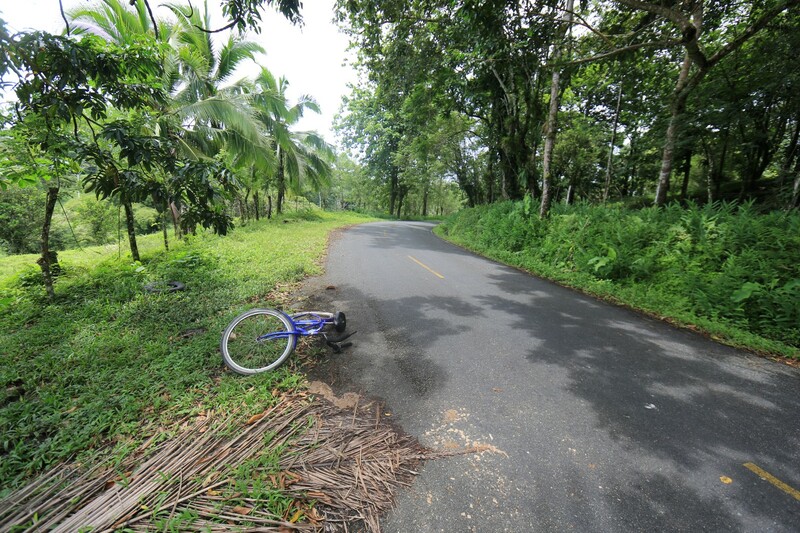 Bocas is infinitely bikeable. There aren’t that many cars (although there are cars) and a lot of people are on bikes and are walking. There were miles of flat jungle road with beaches along the edges. There is water all around. There are boats all around. 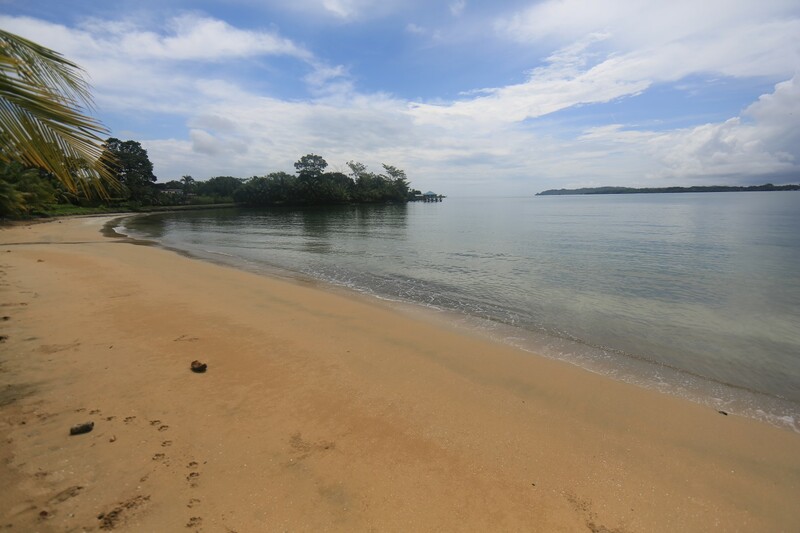 Jungle canopy, big bays, swimming beaches, surfing beaches, more jungle. There’s the town with a pretty good number of decent restaurants. Many of the restaurants are basically docks facing out onto the water. Service is mediocre everywhere you go. Don’t expect your food to come too quickly but on the other hand it’s not so bad that you get upset about it – and hey, really, what’s the rush? 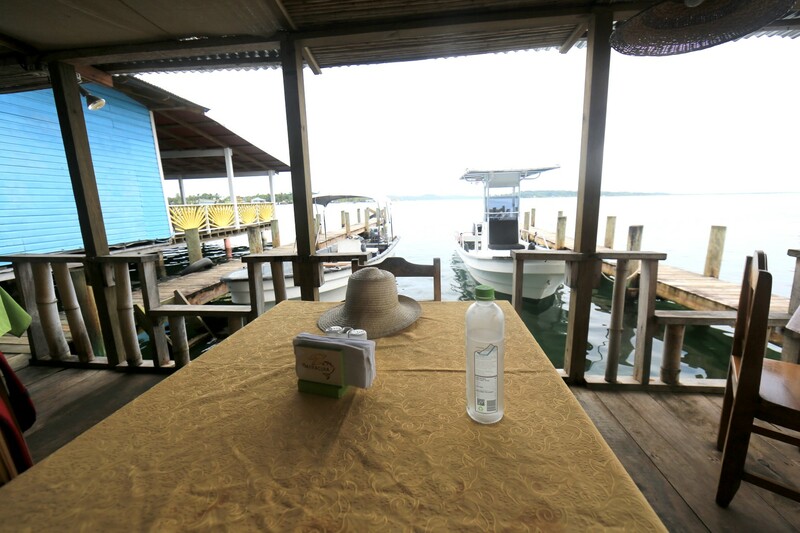 You are sitting on a dock waiting for some delicious fish or a shrimp salad right? There are other islands all around and you can take a water taxi to get to them. $3 for the water taxi. There is a beach which is a breeding ground for huge starfish and there is also a beach that is a breeding ground for turtles that is protected by a conservatory. Oh, yeah and there are so many places to surf it’s silly. Maybe it gets crowded in the high season but I was there for amazing waves with 6 guys in the water. One day was so amazing that if it had been like this at a similar break in San Diego there would be fifty guys in the water. There was something about that which really hit home. Panama City can be quite overwhelming. When I first started going there in 2004; we ran into zero americans, however there were a lot of international business investors there. There were skyscrapers going up everywhere so you could tell things were rapidly changing. Unfortunately, the city planners clearly were not long term planning. Oh yeah, Panama also has the biggest Mall in Central America, and it is so much more beautiful than any mall in America…Im not a big shopper, but its worth checking out. There’s also amazing deep sea fishing excursions everywhere. 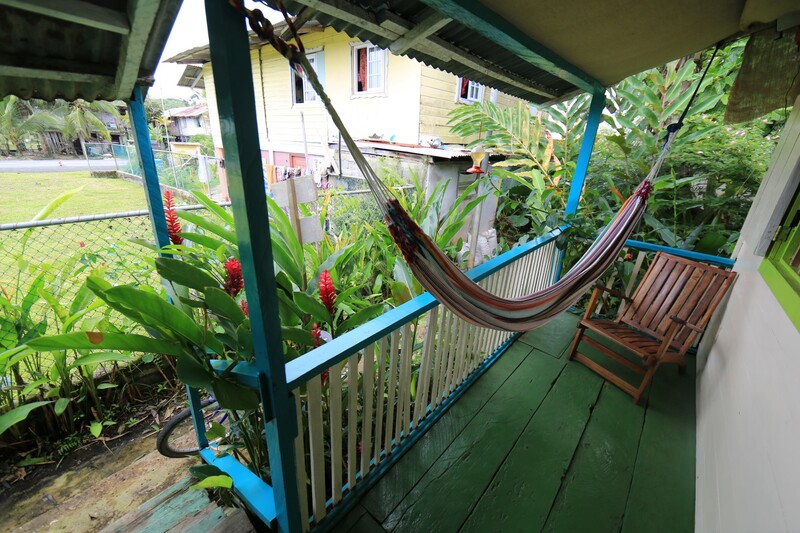 Lastly, theres a couple nice casionos in Panama. The one I enjoy is at the Hotel Veneto. When was the last time you went? Any plans to go in the future? nice! sounds like sweet winter retreat…. or summer ? whats the weather like year round..? I was there in the humid rainy season so I think I got the “worst” of it but with lots of surfing and swimming it was OK. The dry season is supposed to be more climatically pleasant. ← I’m Back … With an Answer …. Go To Mexico!!! !